Text description provided by the architects. 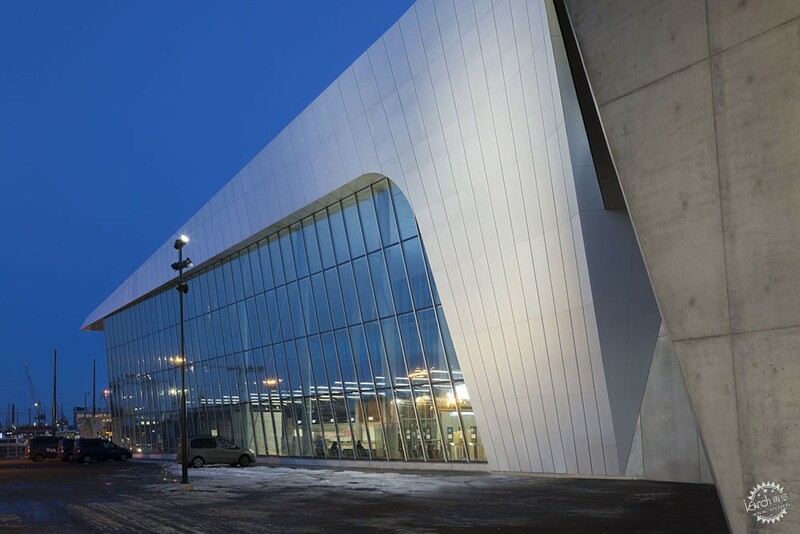 PES-Architects’ West Terminal 2 (Länsiterminaali 2), completed in February 2017, is situated in Helsinki's West Harbour on a narrow plot of reclaimed land at the southern tip of the new Jätkäsaari neighborhood, a former freight port area. 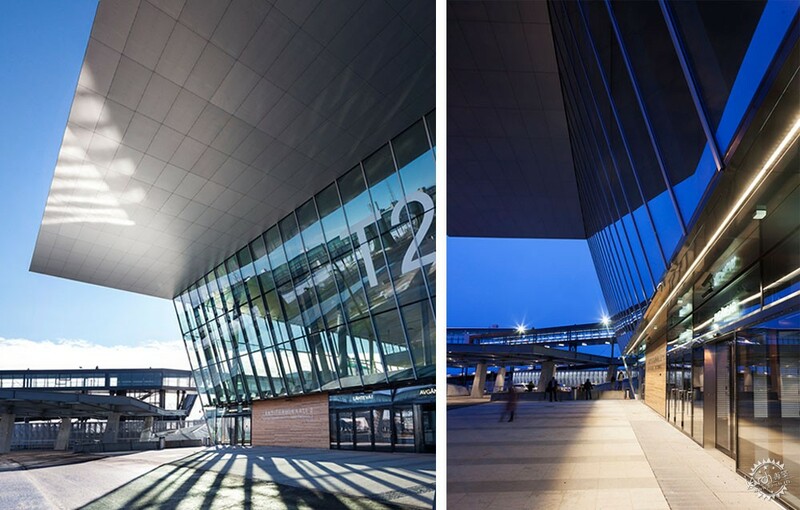 The new terminal was built to meet the needs of the growing ferry traffic on the Helsinki-Tallinn route. The goal was to enable faster embarkation and disembarkation of passengers and reduce the turnaround times of ferries in port to just one hour. The terminal will serve the majority of the 6-7 million passengers traveling between Helsinki and Tallinn via West Harbour each year. The terminal building is located between two quays to make the most of the relatively small plot. As most of the dock area is required for the vehicles queuing to board the ferries, the ground level was designed to be as compact as possible. 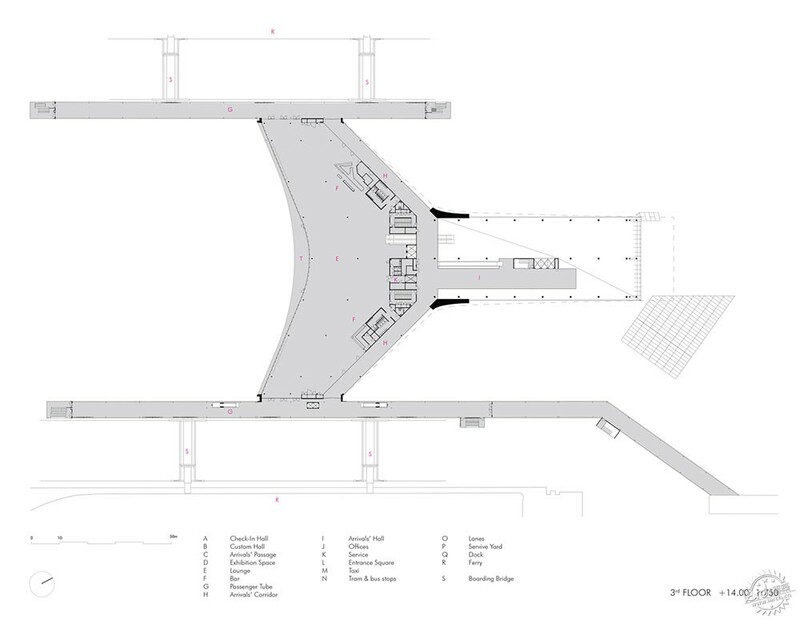 The second-level departure lounge was raised 10 meters off the ground, allowing traffic to flow smoothly under the building. The central, raised location of the lounge also minimises passengers’ walking distances along the corridors and bridges to the ships on either side of the terminal. 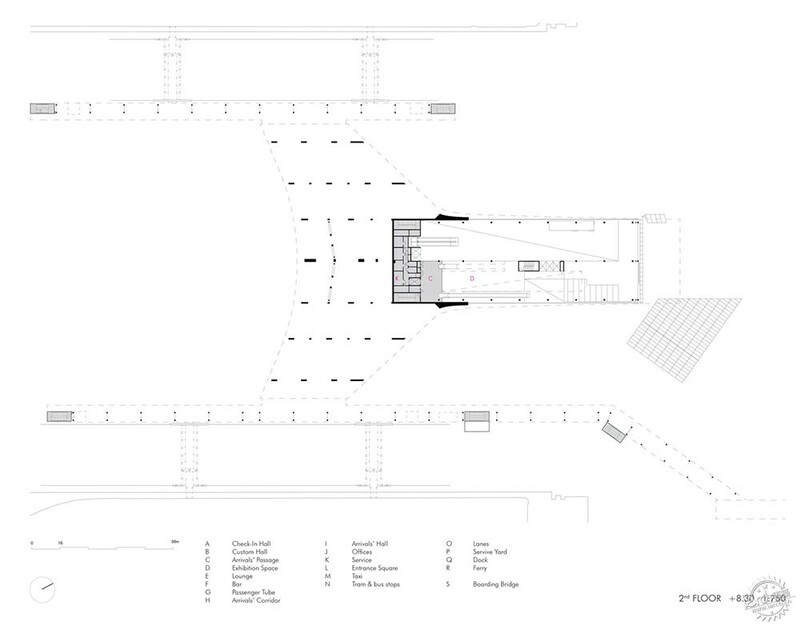 The ground floor is mainly a pass-through area with separate exit and entrance lobbies. 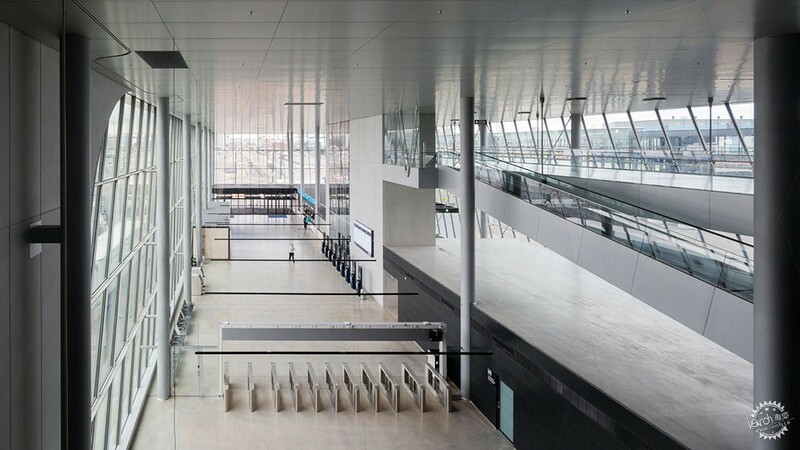 Passengers enter the terminal through a check-in area with glass walls 15 meters high and then quickly progress to the departure lounge on escalators and lifts. 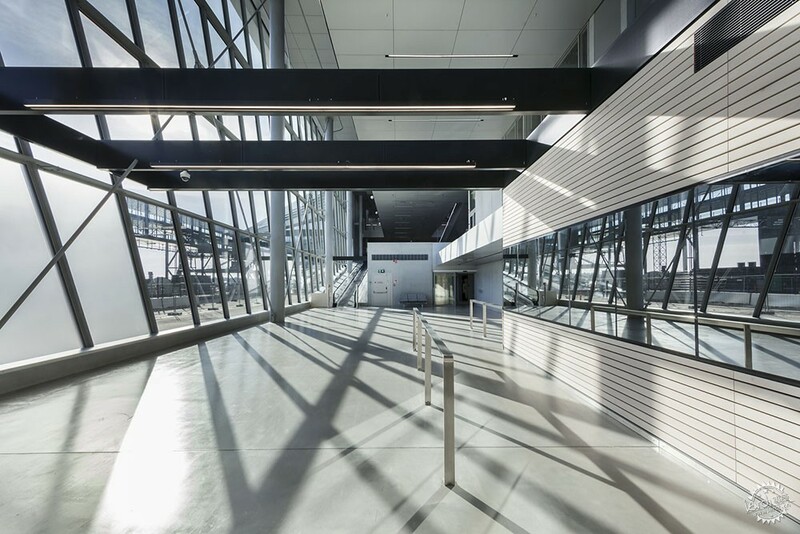 The departure lounge is a spacious, hangar-like space with a restaurant, café, and seating. 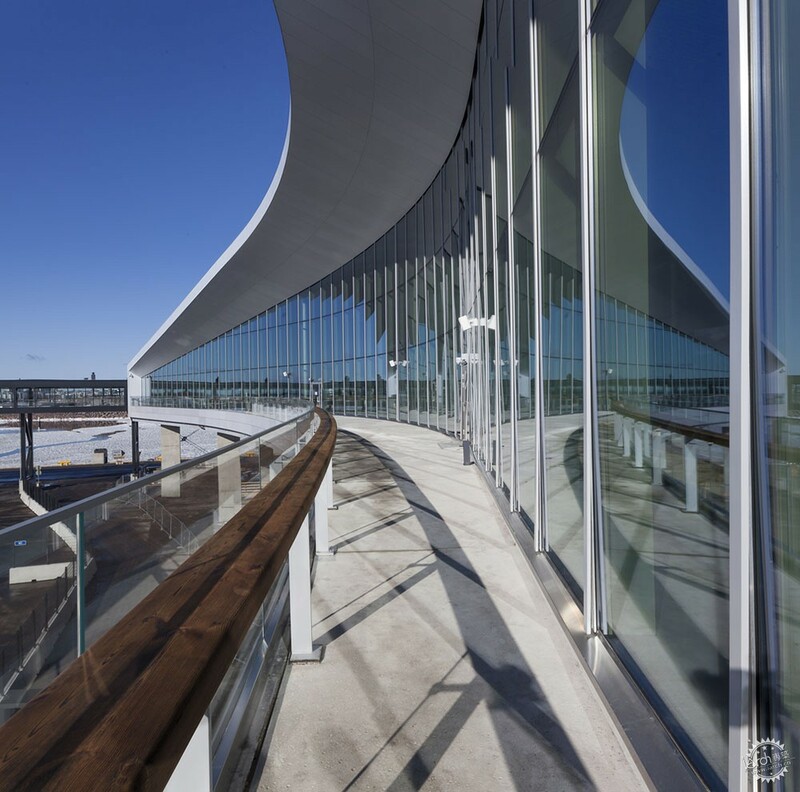 High glass walls open to a sweeping view of the sea and incoming and departing ships. The view can be enjoyed from the oak counter running along the full width of the window wall or, in summer, from the seaside terrace. 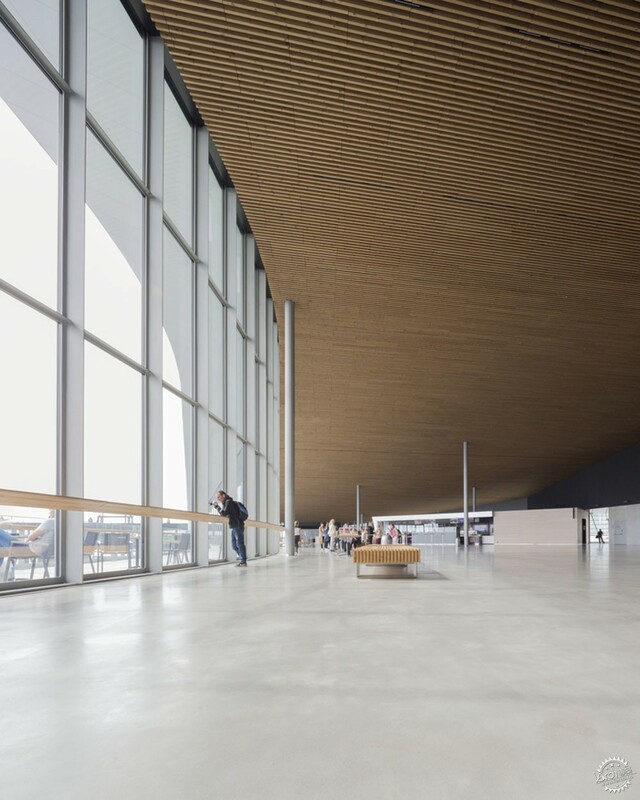 The expansive wooden ceiling, made from heat-treated pine slats, rises up to a height of nine meters. Lighting, ventilation, and sprinklers are integrated discretely into the ceiling. 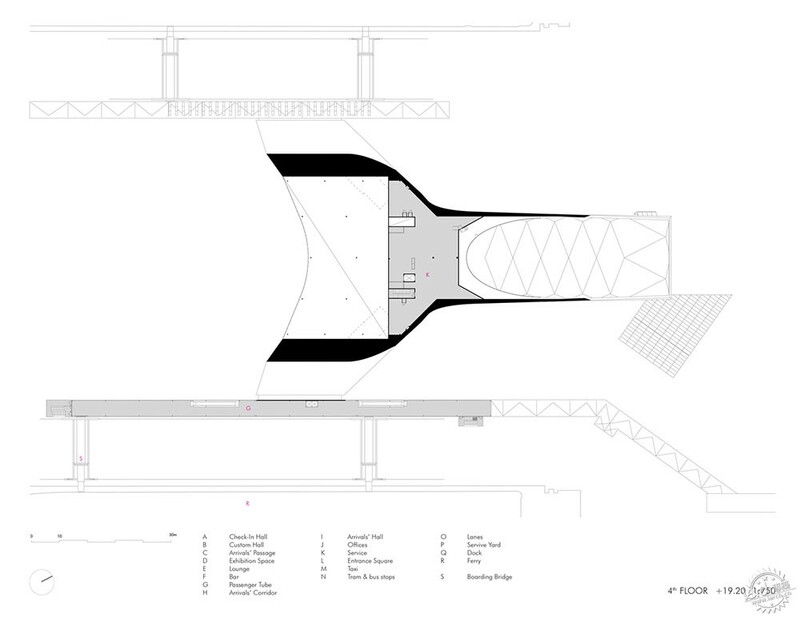 From the middle, the ceiling slopes down towards the sides, directing passengers to the boarding bridges. Glass surfaces and lighting solutions play an important role in keeping the passenger route clear and safe. The departing and arriving passenger flows are separated, with arriving passengers being guided directly onto escalators and out of the terminal through customs on the ground floor. 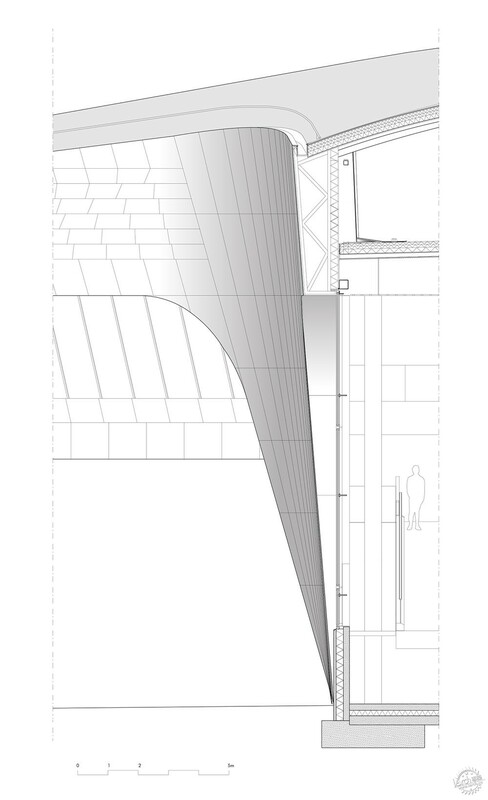 The geometry of the terminal frame is complex, particularly the roof that curves bi-directionally from the ridge. This was implemented with a steel frame structure. In addition to the requirement for efficiency, the design aimed at a high standard of elegance, quality, and comfort. The terminal is a significant public building in the developing urban environment of Jätkäsaari. 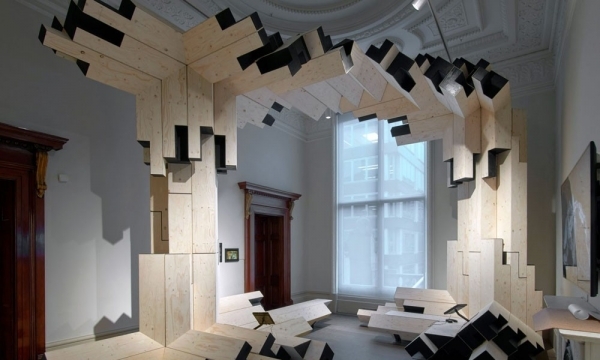 Materials were chosen for wear resistance so as to retain their attractiveness throughout the lifespan of the building, at least for the next hundred years. 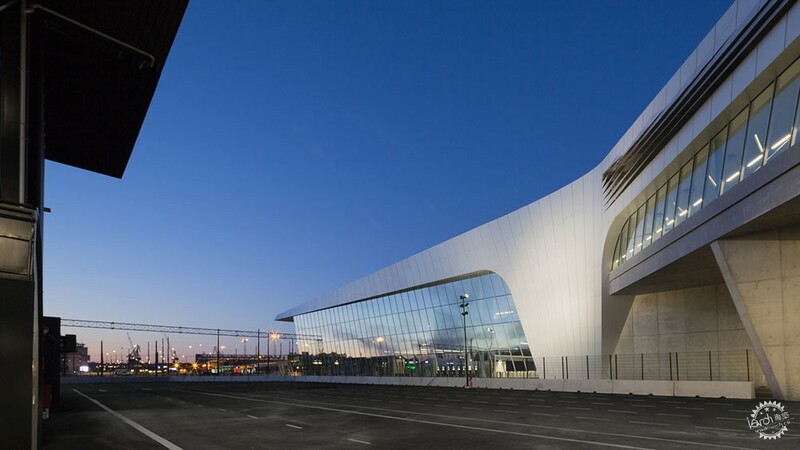 From outside, the sleek, flowing lines of the building resemble a sea creature washed ashore, with glass, concrete and sea aluminum facades that gleam in the sun. Near the main entrance, the pine boards of the facade commemorate the time when ships were still made of wood.